Hey! Becca here. I’m so grateful you’re taking the time to read (or skim-read, no judgement here) my manifesto for this year. If you have any questions, concerns or need more information on anything below, please don’t hesitate to contact me on my campaign page on facebook and I’ll see if I can help out in any way. You can contact me via facebook: https://www.facebook.com/becca4wo/ and email: 16049778@brookes.ac.uk. My name’s Rebecca Harrington and I’m a third year International Relations and Politics student. I originally come from South Africa but my family live in London now. It’s a case of running for re-election for me, because I’ve been your Women’s Officer for two years now and I’ve got so much more to give! Being in the role so long has given me plenty of insight into the issues most important to women students on campus. Whilst I managed to achieve a lot over the past couple of years, there are some ongoing projects and new ideas I’ve detailed below that I’d really like a chance to crack on with this year. In the interest of accountability, I wanted this to be a manifesto and a round-up of all the things I was involved in last year. Something on my list for next year is improving transparency in the union and encouraging all of us to put more time into informing students about the changes we’ve helped put in place. 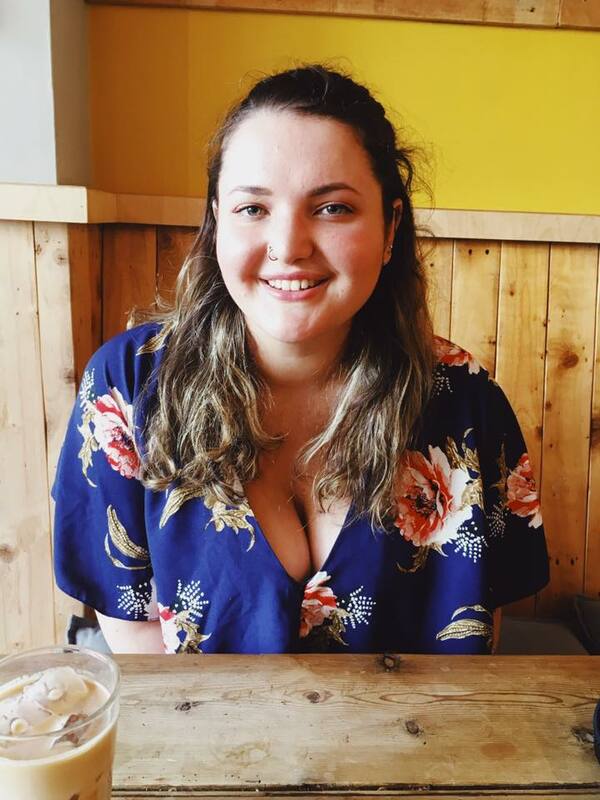 I had a really fantastic experience as Women’s Officer over the last two years and if re-elected I really want to do more for the women and non-binary students I represent. One of the things I’m most pleased with is the HEFCE bid I helped put together an application for. The funding, which we won for Brookes, went forward to set up a reporting mechanism for instances of sexual violence, harassment and hate crime. It’s now live and students can report any incidents, get help and find signposting resources here. Going forward, if I’m re-elected I’ll still be sitting in those meetings and directly informing the way we structure this tool to work for and protect students. Last year, I also ran a hugely successful sexual violence and consent campaign with Sam ( VP Welfare) to engage with students to find interactive ways to raise awareness of consent issues and sexual violence, without working against or patronising them. It’s called Consent in Multiple Languages and as part of it, I wrote and set up two new resource pages on the Student Union Website. You can find the educational consent page here and the sexual violence page here. Whilst sexual violence is always top on my agenda, I was increasingly concerned by messages from students using our 24hr building (the JHB) who couldn’t find sanitary products at certain times in the evening. After months of meetings and haggling, we managed to get a sanitary pad dispenser installed! You may have also seen me sneaking into the gender-neutral toilets a lot last year. I wasn’t up to anything dodgy, rather we had a small box of free emergency sanitary pads kept there and regularly restocked it. I’m keen to continue the scheme this year, but also to look into ways I can expand the idea - perhaps working with local groups to set up a charity drive & help out some of the homeless women in Oxford who are most affected by period poverty. So if you’re ever at a loss for a tampon, check out the toilets by the JHB reception for some free ones. For the second International Women’s Week I’ve run, I put on a series of events, including very popular talks on abortion in Ireland and the history of women’s liberation and events from other groups like the African-Caribbean society and a drop-in pole fitness class! This year it’ll be bigger and better if I’m re-elected! I’ll work with students to create a programme of varied events that champion intersectionality and cater to everyone. This year, I also helped to produce ‘The Little Book of LGBTQ+’ after lobbying the university to install more gender neutral toilets. The booklet has advice for LGBTQ+ students including how to change your name and gender on the university system, where to find gender neutral toilets, wellbeing resources, reading lists and more. It’s something I’m very proud of and we’ll shortly be uploading an electronic version to the SU website. Another part of my job that a lot of students aren’t especially aware of is the handling of student complaints and concerns. Sometimes students approach the union or myself directly with issues they need help deciding a course of action for. It’s one of the most rewarding parts of the role, being able to see a complaint case or other course of action through and help a student overcome a difficulty. It’s certainly something I want to do more of next year, so whilst I’m a student who has lectures and societies just like you, if I’m re-elected I want to remain approachable and be able to do more to help individuals with their issues at university. I have major plans to improve accountability and make it easier for the students I’m mandated to represent to make their voices heard. I’ll be hosting multiple women’s forums throughout the year to give women and nonbinary students the chance to come and let me know about the issues affecting them and what improvements they’d like to see. I’ll also be giving Union Council reports from every meeting, so the actions I’m undertaking are widely documented and transparent. Thanks for taking the time to read this. Again, drop me a message if you have any questions or want to know more. I hope you’ll consider lending me your support in the coming weeks.